Whitney Rupp for Shaw Media Matthew Seeley, left, constructs a fort with Danielle Zarbock, center, and Lizzie Disantis at The Racket Club in Algonquin Saturday, March 17. The Crystal Lake Park District hosted the event, open to ages 4 and up. 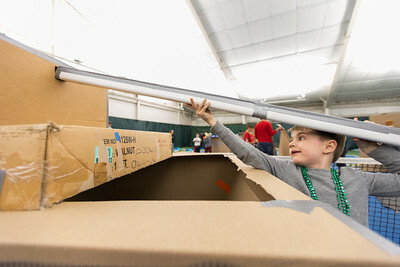 Whitney Rupp for Shaw Media Monty Degroh, 5, Crystal Lake, uses a glue stick to help his family with a fort building competition Saturday, March 17. 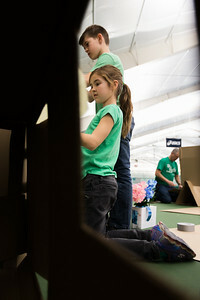 Whitney Rupp for Shaw Media Avery Watson, 8, helps brother Aidan, 10, with cutting and taping construction on their cardboard fort Saturday, March 17 at ‘Forts on the Courts’ hosted by Crystal Lake Park District. 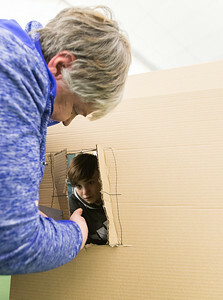 Whitney Rupp for Shaw Media4 Sharlene Biancalana, Chicago, cuts a window into a cardboard fort wall as grandson Sean Raadsen, 11, Crystal Lake, watches. 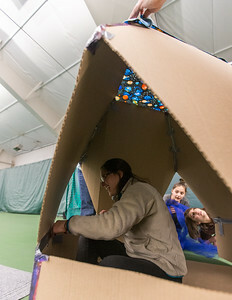 The Crystal Lake Park District hosted ‘Forts on the Courts’ at The Racket Club in Algonquin Saturday, March 17. 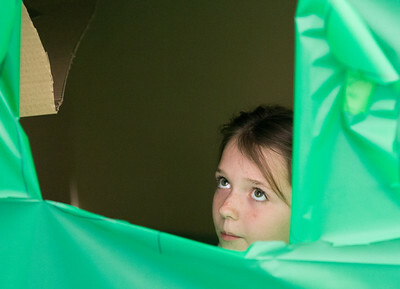 Whitney Rupp for Shaw Media Joseph Etten, 10, Crystal Lake, works on a fort at Crystal Lake Park District’s ‘Forts on the Courts’ Saturday, March 17. 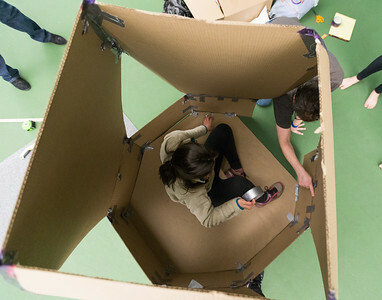 Whitney Rupp for Shaw Media Meghan Gau, 8, Crystal Lake, peers through a window while discussing the construction of her family’s cardboard fort Saturday, March 17. 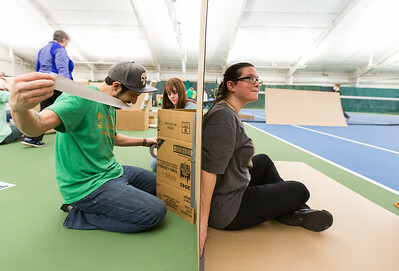 Whitney Rupp for Shaw Media Joshua Monninger, left, and William Wacaser of Crystal Lake secure a roof fixture on a cardboard fort at The Racket Club in Algonquin Saturday night. 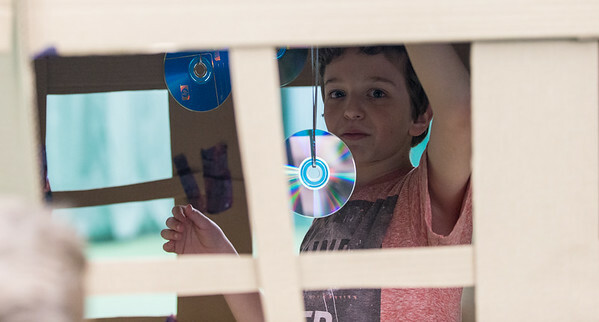 Whitney Rupp for Shaw Media Meghan Gau, 8, Crystal Lake, looks out a window during construction of her family’s cardboard fort Saturday, March 17. 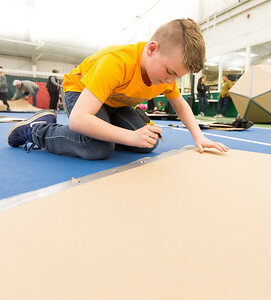 Whitney Rupp for Shaw Media John Niziolek, 8, Crystal Lake, constructs a cardboard tank at Crystal Lake Park District’s ‘Forts on the Courts’, Saturday March 17. 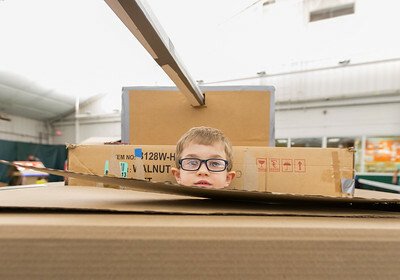 Whitney Rupp for Shaw Media Evan Niziolek, 6, Crystal Lake, peers out of his family’s cardboard tank Saturday, March 17. 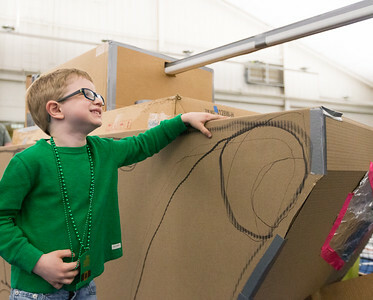 Whitney Rupp for Shaw Media Evan Niziolek, 6, Crystal Lake, stands with his family’s cardboard tank Saturday, March 17. 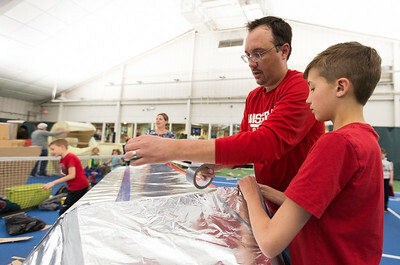 Whitney Rupp for Shaw Media Tony Santarelli, 10, helps dad Mike Santarelli, Crystal Lake, attach a roof to their rocket-themed fort Saturday, March 17. 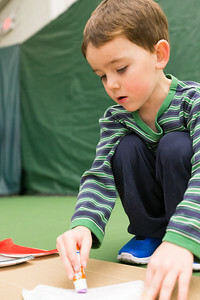 Monty Degroh, 5, Crystal Lake, uses a glue stick to help his family with a fort building competition Saturday, March 17.